​Publication date is to be finalised. Laura is half-werewolf and half-siren, made 'siren' accidentally by the human male who saved her life five years ago with his breath of life - his siren breath. Roman Dalton is human, and the only known male to carry the siren gene. Although he cannot fully form into his aquatic counterpart, he suffers the torturous effects of his compromised DNA every full moon when the tides are high - effects which have been steadily growing worse. 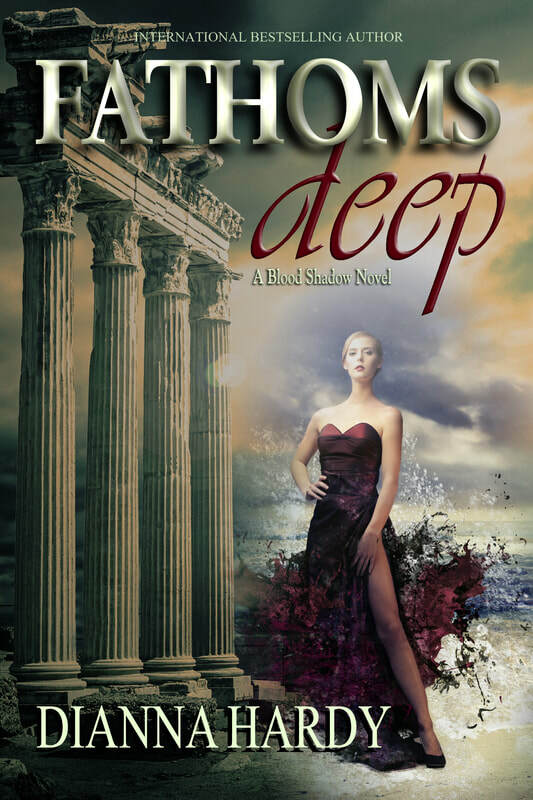 Posing as man and wife, and battling their own villainous shadows from a past best left drowned, the reluctant couple find themselves in Santorini, about to embark on a deadly mission to uncover more about the elusive siren in the hopes of finding a cure. For Roman was never meant to carry the siren gene, and certainly never meant to pass it on to a she-wolf. But there are people - very important people - who would rather some secrets remain hidden forever. If Laura and Roman make it to Mount Athos, they may never make it back out. Awaiting pre-order links. The buttons below will tuen pink when the book is available. Not available elsewhere until nearer the time of publication.